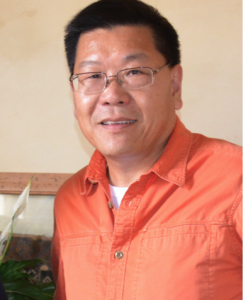 Leslie Chan is a Senior Lecturer in the department of Arts, Culture and Media Studies and the Centre for Critical Development Studies at the University of Toronto Scarborough, where he serves as the Associate Director. An early practitioner in the use of the Web for scholarly exchange and online learning, Leslie is particularly interested in the role and design of network in the creation and flow of knowledge and their impact on local and international development. As one of the original signatories of the Budapest Open Access Initiative, a historical and defining event of the global open access movement, Leslie has been active in the experimentation and implementation of scholarly communication initiatives of varying scales around the world. The Director of Bioline International, a trustee of the Electronic Publishing Trust for Development, and an advocate for knowledge equity, Leslie has spoken widely, and he has been invited to serve as advisor to numerous projects and organizations, including the Canadian Research Knowledge Network, the American Anthropological Association, Canadian Federation of Humanities and Social Sciences, the International Development Research Centre, UNESCO, and the Open Society Foundation. 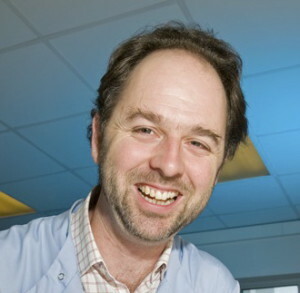 Sean Hill is co-Director of the Blue Brain Project and co-Director of Neuroinformatics in the European Union funded Human Brain Project (HBP) at the École Poly­tech­nique Fédérale de Lau­sanne (EPFL). 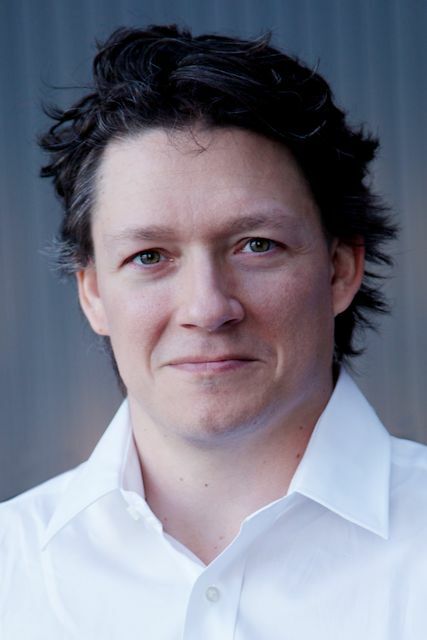 Dr. Hill also serves as the Scientific Director of the International Neuroinformatics Coordinating Facility (INCF) at the Karolinska Institutet in Stockholm, Sweden. Dr. Hill has extensive experience in building and simulating large-scale models of brain circuitry and has also supervised and led research efforts exploring the principles underlying the structure and dynamics of neocortical and thalamocortical microcircuitry. He currently serves in management and advisory roles on several large-scale clinical informatics initiatives around the world. After completing his Ph.D. in computational neuroscience at the Université de Lausanne, Switzerland, Dr. Hill held postdoctoral positions at The Neurosciences Institute in La Jolla, California and the University of Wisconsin, Madison, then joined the IBM T.J. Watson Research Center where he served as the Project Manager for Computational Neuroscience in the Blue Brain Project until his appointment at the EPFL. 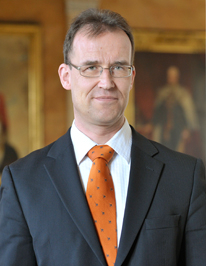 Prof. Dr. Norbert Lossau, former Director of Göttingen State and University Library (SUB), is full-time Vice-President of the University of Göttingen through 2019. 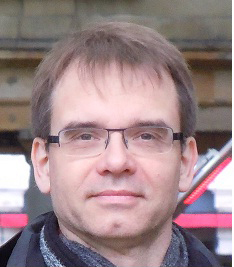 Within the University directorate, Prof. Dr. Norbert Lossau is in charge of the Faculty of Mathematics, the Faculty of Geoscience and Geography and Computer Science; he is also responsible for research and information infrastructure and facility management. 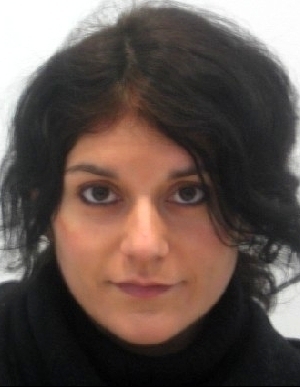 Donatella Castelli is a Senior Researcher working at the “Istituto di Scienza e Tecnologie della Informazione” of the Italian National Research Council (CNR-ISTI). She has been the principal investigator of several European and National funded projects on digital libraries and data e-Infrastructure acquiring considerable experience in these domains. She is currently the Technical Director of the OpenAIRE Infrastructure. She is also acting as scientific director of the iMarine EU project which is operating an infrastructure serving marine biodiversity and fisheries management scientists. She a member of the COAR Strategic Forum. Her scientific interests are centered around digital libraries, data infrastructures and data interoperability areas. Dr. Elliot Shore has served as executive director of ARL since January 1, 2013. From 1997 to 2012, Shore served as the Constance A. Jones director of libraries and professor of history at Bryn Mawr College. In 2002, he was appointed CIO of the college. Before arriving at Bryn Mawr, Shore was director of the Historical Studies-Social Science Library at the Institute for Advanced Study (IAS) in Princeton, New Jersey, from 1985 to 1997. In 1974, Shore began his career in libraries at Temple University as curator of the Contemporary Culture Collection and in 1982, was appointed history bibliographer, reference librarian, and assistant to the director, a position he held through 1984. Shore has been a leader in the CLIR Postdoctoral Fellowship in Academic Libraries program since its inception in 2003 and a CLIR Senior Presidential Fellow since 2008. He served as a co-dean of the Frye Leadership Institute in 2012. Carmen Gloria Labbé is the Deputy General Manager of RedCLARA, the Latin American Cooperation of Research Networks. Mrs Labbé graduated in Biology and chemistry from the University of Concepción in 1981 and obtained a master in Instructional Design at the Catholic University of Chile, in1997. Before joining RedCLARA in 2010, she has been Executive Director of College des Ameriques, which is a programme of Interamerican Universitaire Organization, OUI; General Manager of UVirtual in Chile 2001‐2004, Professor at the Catholic University of Chile. She was the strategy director of the project “Regional Strategy and Interoperability and Management Framework for a Latin American Federated Network of Institutional Scientific Documentation Repositories financed by Interamerican Development Bank. She is Vice Chairperson of Executive Board of COAR, Confederation of open acces repositories. José deBuerba is Sr. Publishing Officer – Marketing Manager at the Publishing and Knowledge Division of the World Bank. He manages a team responsible for maximizing dissemination of Bank publications, administering the Bank’s copyright, ensuring compliance with the Bank’s Open Access policy, and developing and maintaining the Open Knowledge Repository (OKR), the Bank’s official Open Access repository. To support the institution’s role as global knowledge institution, the Publishing and Knowledge Division works with departments across the World Bank to develop and publish a range of products that cover the full spectrum of economic and social development. A native of Madrid, Spain, Mr. Buerba has over 15 years of experience in international scholarly and professional publishing. He holds a Master’s Degree in Economics from Universidad Carlos III, Madrid. Professor Jeff Haywood (BSc, PhD, FRSA) is Vice-Principal Knowledge Management, CIO and Librarian at the University of Edinburgh. He is head of the University’s integrated Information Service, offering a wide range of services in Library, IT, Technology-Enhanced Learning and Classroom Technology. Jeff leads many major University-wide initiatives, including the substantial expansion of taught online distance Masters degrees, and Massive Open Online Courses (MOOCs). As Professor of Education & Technology in the University’s School of Education, his research interests are in the development of strategies for effective use of ICT in education at institutional, national and international levels. Jeff is past member of the JISC Board, past Chair of the eLearning Task Force for the Coimbra Group, and a current member of the Scottish Government’s ICT for Excellence Group, designing the next generation digital learning environment for Scottish schools. Varsha Khodiyar is an Editorial Biocurator at F1000Research, an open science journal offering rapid publication, transparent peer review (post-publication) and full data deposition and sharing. Varsha gained her PhD from the University of Leicester, where she studied gene expression in inflammatory bowel disease using microarray technology. 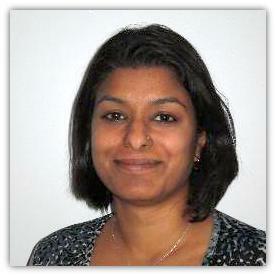 Varsha moved into the field of biocuration with a position on the Human Gene Nomenclature committee, based at University College London, where her role included naming human genes for inclusion in the final Human Genome project chromosome papers; an authorship on the chromosome 17 paper was granted in recognition of her contribution to the project. Varsha then moved onto the Gene Ontology project working as an annotator of human cardiovascular proteins, where she led a project expanding the Gene Ontology terms to describe heart development. Varsha also spent 4 years teaching an MSc module on bioinformatics, which she played a key role in devising and developing. Implementing relevant workflows and technology to enable sharing of research data in a citable and creditable manner, Varsha’s current role at F1000Research sees her approach biocuration from a publisher’s standpoint. In this role, Varsha is involved in multiple cross-publisher and international scientific initiatives focusing on data publication. Her core interest remains the particular challenges of biological data curation and analysis. Prodromos Tsiavos is a legal adviser for the National Documentation Center/ National Hellenic Research Foundation and a member of the Executive Board of the Greek Free Open Source Software Society (EEL/LAK). Prodromos has worked for the European Commission, Oxford and Oslo University, the Athens University of Economics and Business and the London School of Economics and Political Science (LSE). 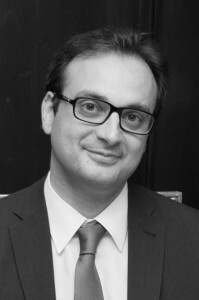 He read law and Information Systems in Athens and London and holds a PhD in Law and Information Systems from the LSE. Prodromos is advising a number of public sector institutions and private cultural and creative industry organisations on legal issues of open data, FOSS, open hardware and open innovation/ fabrication and has participated in a series of legislative committees on issues of information and open data regulation. He is heading the licensing working group in the LAPSI2 project for the implementation of the amended version of the Public Sector Information Directive and is a senior research associate at the Media Institute at the University College London (UCL). 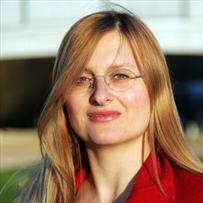 Sophia Ananiadou is Professor of Computer Science at the School of Computer Science, the University of Manchester and Director of the National Centre for Text Mining (NaCTeM). Over the last 12 years, she has been active in the area of biomedical text mining. She has directed NaCTeM to be currently a sustainable text mining centre, carrying out novel, world-leading research on text mining that then informs NaCTeM’s provision of text mining services, tools, resources and infrastructure, to a variety of users from medicine, bioinformatics, social sciences and humanities. Research she has led includes novel methods for automatic event extraction; the development of large scale terminological resources for biomedicine; the development of systems supporting the reconstruction of biological pathways, and the development of interoperable text mining platforms. Within the Europe PubMed Central biomedical and life sciences archive, she leads development of highly scalable semantic bio-entity recognisers and also the EvidenceFinder, an advanced search system based on semantic event metadata with discourse analysis derived from massive text mining of full papers. She is currently leading projects in the areas of biodiversity, history of medicine and evidence-based public health. 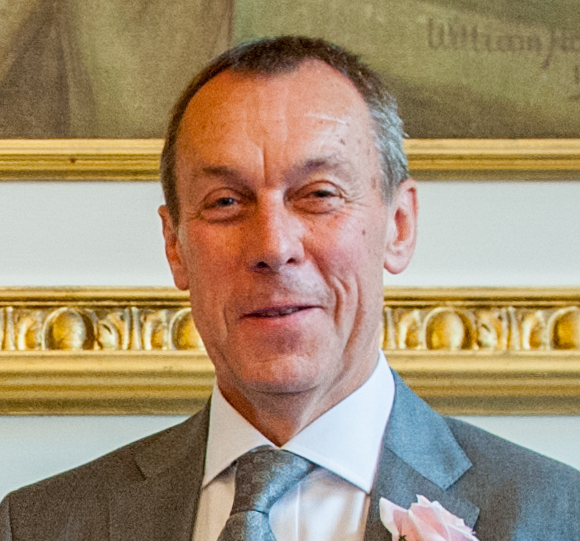 Clifford Tatum is project manager of ACUMEN (Academic Careers Understood through Measurement and Norms), a European research collaboration aimed at improving the ways in which researchers are evaluated. Clifford holds masters degrees in international business (Seattle University) and communication (University of Washington), and is presently a PhD candidate at the Centre for Science and Technology Studies (CWTS), Leiden University. His research is focused on developing a theoretical framework for infrastructures of openness. Using STS-inspired infrastructure analysis, this research examines the consequences of Open Access for scholarly communication. Erika Widegren is Executive Director of Atomium Culture and has been working in the field of connecting science and society for nearly a decade. She graduated from the University of Edinburgh in Philosophy and Political Science, where she also continued her studies in Economics and Mathematics. Erika has actively cooperated to the development strategy of Atomium Culture, together with the former French President and Honorary President V. Giscard d’Estaing and the President M. Baracchi Bonvicini, founders of AC. In 2013 she directed the “Special Initiative for Citizen Engagement in Science” that AC developed together with Der Standard (Austria), El País (Spain), Frankfurter Allgemeine Zeitung (Germany), Il Sole 24Ore (Italy) and The Irish Times (Ireland). She is currently developing this concept further and heading the launch of REIsearch – Research Excellence Innovation Network. Kamila Markram is a neuroscientist, autism researcher and the co-founder and CEO of Frontiers, a leading open-access academic publisher and social network for researchers. The community-driven “Frontiers in” journal series, founded in 2007, published more than 20,000 peer-reviewed articles across 45 journals, covering more than 300 academic disciplines, making it one of the five largest open access publishers worldwide. Frontiers is supported by over 140,000 scientific users, authors and editors, many of which are the world’s top scientists and physicians. Frontiers drives innovations in peer-review, article level metrics, post publication review, democratic evaluation of articles, research networking and a growing ecosystem of open-science tools. Frontiers joined the Nature Publishing Group in 2013 in a strategic alliance to further Open Science. Kamila also co-developed the neurobiologically–based “Intense World Theory of Autism” which proposes that autism is the result of a hyper-functional brain. This theory challenges established dogmas in autism research and was featured in popular science magazines and TV documentaries. Kamila obtained a MSc in Psychology, from the Technical University Berlin in 2003, completed her masters-thesis at the Max-Planck Institute for Brain Research in Frankfurt; and obtained an award-winning PhD degree in Neuroscience at the Swiss Federal Institute of Technology Lausanne (EPFL) in 2006. Kamila is on a mission is popularize science and the researchers behind the discoveries to help building aspirational role models for the younger generations. Giulia Ajmone Marsan is an Economist of the OECD Directorate for Science, Technology and Industry. She has been involved in several OECD projects dealing with innovation such as OECD Innovation Reviews both at national (i.e. the Netherlands, Luxembourg) and regional level (i.e. the Basque Country, Spain, Wallonia, Belgium and Central and Southern Denmark) as well as other OECD publications, including Regions and Innovation Policy and Regions and Innovation: Collaborating across Borders. 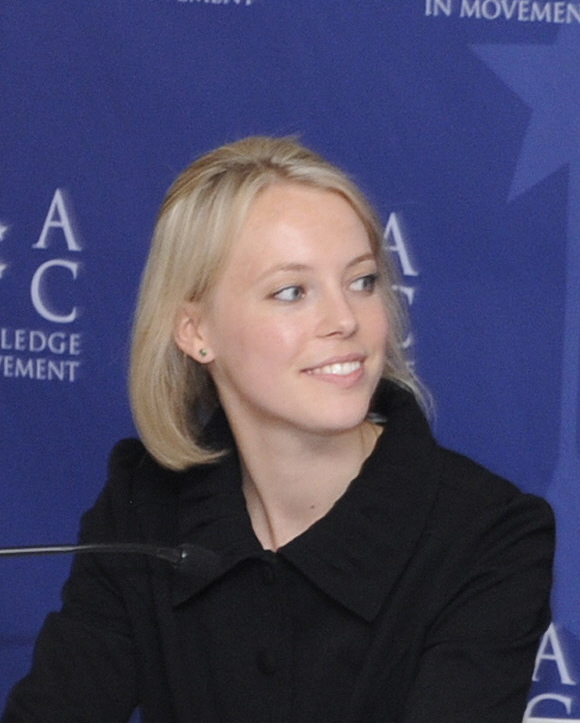 She currently manages the project on open science under the OECD Working Party on Technology and Innovation Policy. She regularly publishes articles in international journals as well as working papers. She holds degrees in Applied Mathematics from the Polytechnic School of Turin, Italy, and a PhD in Economics from the Ecole des Hautes Etudes en Sciences Sociales, Paris, France and the IMT Institute for Advanced Studies, Lucca, Italy. Heather Joseph serves as the Executive Director of the Scholarly Publishing and Academic Resources Coalition (SPARC), an international coalition of academic and research libraries working to expand the global, cost-effective digital communication of research results. 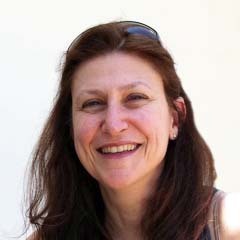 As SPARC’s Director since 2005, Ms. Joseph leads the strategic and operational activities of the organization, and has focused SPARC’s efforts on supporting emerging publishing models, enabling digital archives, and establishing open access policies on the national and international levels. Prior to joining SPARC, she spent 15 years as a publishing executive in both commercial and not-for-profit publishing organizations. She was the founder BioOne, a collaborative publishing organization designed to keep non-profit publishers operating independently. Ms. Joseph is also the convener of the Alliance for Taxpayer Access, a national coalition that advocates for public access to the results of federally funded research. Ms. Joseph serves on the Board of Directors of a number of non-profit organizations, including the Public Library of Science (PLoS), DuraSpace, and ImpactStory, She is an active participant in committees at U.S. federal science agencies, including the NIH, The Department of Energy, and the National Academies of Science. She is a frequent speaker and writer on scholarly communications in general, and on open access in particular. Jarkko Sirén joined the European Commission in 2009. He is Project Officer in DG Communications Networks, Content & Technology. He is currently working on e-infrastructures with a special focus on open access and data infrastructures. He has previously worked in IT project management and development in the European Commission (DG EAC) and in private sector companies. Jarkko holds a M.A. in Philosophy (1996, Helsinki University).